HIGHLANDERS FC and their top goalscorer for the 2014 Castle Lager league season, Charles Sibanda believe the player could have been cheated of the Golden Boot award he shared with How Mine’s Kuda Musharu. Sibanda shared the winner’s cheque of $3,000 with the lanky Gweru-born forward. According to records at the Premier Soccer League, the two players scored 12 goals each. 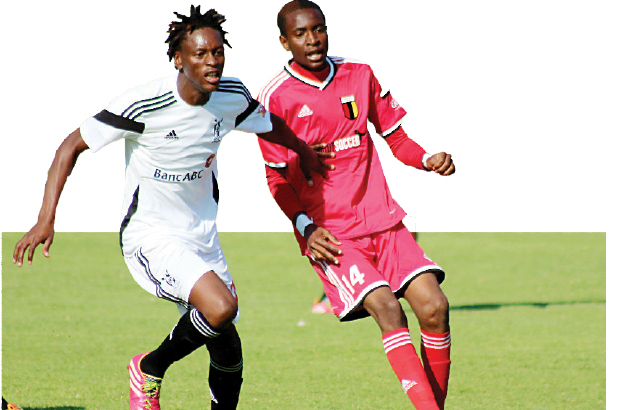 Bosso and Sibanda are however, disputing the statistics insisting the Entumbane-born star scored 13 goals. Highlanders FC chief executive officer, Ndumiso Gumede produced a document from the PSL that seemingly had errors though for the first time it was confirmed that Sibanda netted a brace in the 3-1 win over Buffaloes. Initial reports had indicated that the disputed goal was scored after Sibanda’s shot was directed past the goalkeeper by a Buffaloes defender. This had seen the media all along insisting that it was an own goal but the latest revelations could leave both the PSL and sponsors with an egg on their faces. “Our boy was cheated, records that they have produced to us have serious mistakes,” said Gumede. When Chronicle Sport did its own check it established that Sibanda had indeed scored a brace against Black Rhinos in a game won 3-1 at Barbourfields. League statistics indicate that he scored one goal. Sibanda scored two opening goals coming from a goal down on June 29 this year. The document from the league puts his tally at 12 instead of 13 goals. Gumede expressed disappointment that the PSL awards ceremony was held last week before the issue was resolved. “We highlighted the anomaly to PSL but no action was taken to correct the mistake and it was only after Peter Dube approached them directly that they sent us these records which have a lot of errors,” he said. Gumede appealed to the PSL to rectify or apologise to Sibanda for the mistake they made. When contacted last night, Sibanda insisted that his season’s tally was 13 goals and not 12 as recorded by PSL. Sibanda said he scored two hattricks against Buffaloes and Bantu Rovers, a brace over Black Rhinos, Triangle (home and away) and single goals against FC Platinum (home and away) and Chiredzi. “I am a professional footballer and I would not cheat,” said Sibanda one of the Castle Lager Soccer Star of the Year finalists for this season. The two goals he scored against Rhinos were recorded as one yet one was from the penalty spot.